I have enjoyed receiving Sandra's newsletter for quite some time now and it is an honour to be able to feature her here on this blog. For anyone who does not yet know Sandra, she manages an inspiring website filled with tips, ideas, a blog and more to help authors to learn how to market, promote and publicize their books. 1) Hi Sandra, thank you for agreeing to be interviewed in a Q & A for my blog HealingOccupationalTherapy. Reading your "about" page is very inspiring. You have several books successfully published. There are some who write books or are self-employed who use their success to build on more success for themselves. I love the fact that you are willing to share your knowledge and help others to succeed too. Can you share with the reader what inspired you to want to help others to be successful? This probably isn't the answer you expected but the truth is, it's just who I am -- to a fault. It's one reason I became a writer in the first place. Many of my assignments allow me to showcase how others do something better, smarter, or faster. That, in turn, lets me help people learn from the experiences of others who have gone before them. 2) One of the first things that attracted me to sign up to your newsletter is the name of your website. The more I learn about online marketing the more I appreciate the importance of the name of one's website. I love the name you have chosen. "Build Book Buzz" it has a melody and zing to it. Can you share with those who might be starting out, what should they consider in selecting a suitable title either for a book or website? Great question! You should think as much about your website name as you do your book title (and if you didn't think too much about that, you might want to go back and revisit it!). You want it to tell people what they'll find on your site. Authors using the site only for their books, rather than another part of their business, might want to use their name. Others, though, might want the site name to reflect their area of expertise -- like bestyogainstructor.com or locavorenews.com. Some people get hung up on being cute. That can work . . . but it can also work against you. If nobody is ever going to do a Google search for that clever turn of phrase, it's not going to help you. Which leads to a key point: Your site name should be part of your site SEO strategy. In other words, it should be something that will come up in a Google search for your topic, subject, expertise, etc. 3) Being self employed I very much appreciate how much time has to be devoted to mastering marketing. This really is the key. For someone who is not trained in PR or marketing, it can be quite daunting to consider how much one has to devote to marketing. I love the description that you use to help others to "get over, under or around the book marketing and sales road blocks and obstacles" For those who are worried about starting to write or to become self-employed because of these obstacles, what would you say are the chances of being successful if they follow the tips and advice that you offer? My tips are geared to authors, but some of the advice applies to solopreneurs and others who are self-employed, too. I generally recommend that you determine one tactic that will help you reach your target audience, then master it. If you do it the wrong way, it won't help, so it's important to learn how to do it properly. When you've mastered it and feel like you've got it under control, identify another tactic and learn how to do that well. Also take into account your natural skills and abilities, and select your primary tactic according to that, too. For example, an introvert might not want to do public speaking, even if that's a good fit -- guest blogging might work better for that person. 4) Thanks Sandra. I love the fact that you recognize that each person is suited to something specific according to their unique personality and skills. It is so important to hear and I hope will help our readers to have the strength to follow what is right for them. In today's time one often hears comments such as "no-one has money" or "everyone is struggling". I very much appreciated reading that you put yourself through college and have been "self-employed so long that you are no longer employable". For me that is very inspiring. Some of my work is aimed at empowering orphans who come from difficult financial backgrounds with little to no support or who have health problems and need to consider working from home. What words of encouragement can you offer to someone from a difficult background to rise above this and become successful? Believe in yourself. It's amazing what we can do when we put our minds to it -- and we have no choice. (Fear is a great motivator . . . .) I also think it helps to find someone successful who overcame some of the same obstacles you're facing. Learn more about how they did that, and use them as role models. They will inspire you to keep going when you have down days. 5) Over a period of time, I signed up for quite a few newsletters. Gradually I have sifted through which one's I will read and follow more regularly or in-depth. One fact that has definitely kept me reading your newsletters is the fact that I really like the way they are personable, respectful, polite and with a use of language that is easy to read. In a generation where use of social networking has often come down to a one line use of abbreviations and poor language, what can you share about email etiquette. When it comes to email newsletters, never add anyone to your list without their permission. In general, keep your audience in mind. I receive emails from public relations people trying to get me to interview their clients and every once in a while one signs her message, "Love." Love? LOVE? It's inappropriate, but really, it's kind of funny, too. Also, don't presume that the recipient knows who you are. I get emails from strangers who sign off with just their first name. Add a signature, and make sure it includes some kind of call to action -- a link to your newsletter sign up page, a link to your book online -- even just a link to your website for more information. 6) Lastly, with all you are doing for others, do you have another book in the writing yourself? I have an idea for a series of how-to book marketing e-books. So far, though, it's just an idea. Thank you for asking! Thank you Sandra for your valuable and inspiring answers. It has been a pleasure getting to know you and I have learned a lot from signing up to your newsletter. 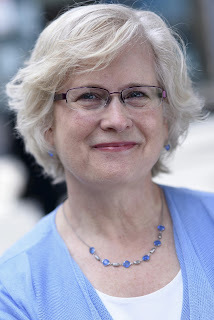 For any readers who might be reading this Q & A post with Sandra Beckwith, if you would like to write a book or to learn how to market your books or eBooks, I highly recommend signing up for her newsletter which you can do via the front page of her website.